Poo Doo Leash - Pet Waste Carriers Relax…It is Labor Day! Hello from the Poo Doo Crew this Labor Day weekend! Labor Day is a yearly tribute to the contributions workers make to the strength, prosperity, and well-being of our country. Thankfully, I have a contributing blogger helping me this Labor Day so I can take a much-needed break! Tyler Evans of dogzasters.com is giving some great tips to keep your pooch safe. He’s a proud dog papa of two German Shepherd rescues. He created his website to showcase the funny, sometimes messy, side of being a dog parent. But before I get to Tyler’s insights, I want to tell you about our new product finally on sale. A few months ago we discussed CBD oils and treats. We now have our own CBD organic doggie delights and CBD tincture made with fish oil! 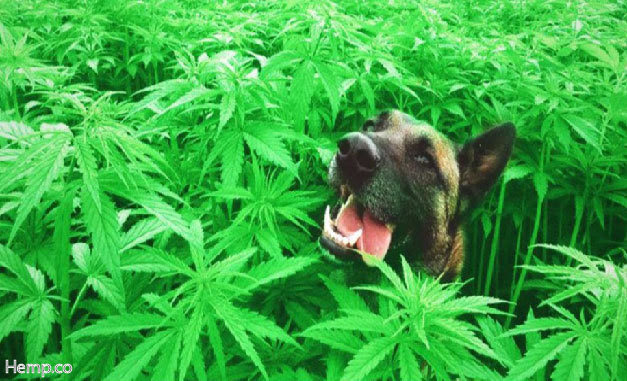 As you may recall, CBD may decrease inflammation, pain, and anxiety in your pets. We are so excited to offer this new product. CBD has made a huge difference in our senior dogs. Now, on to Tyler’s great tips to keep your pooch safe this Labor Day weekend! Have a Dog? Do this to Prevent Disasters! We love our dogs. We let them sleep on our beds. We take them on vacation with us. We even dress them up in cute little outfits–just as if they were human children. But owning a dog isn’t all sunshine and roses. In fact, dogs can be quite a handful if you don’t take steps to train them how to behave appropriately. Dogs left home alone may destroy kitchen cabinets, chew the carpet, or turn your favorite shoes into a snack. Here are some ways to prevent the most common doggie disasters. One way to prevent doggie disasters is to crate train your pup. The Humane Society reports that crates “limit access to the rest of the house while they learn other rules, like not to chew on furniture.” While you’re away from home, keeping your dog in a crate will prevent him from chewing on expensive items. It will also keep him safe from potential dangers, like extension cords and household chemicals. Crates are amazingly useful, but never keep your dog inside one for too long. Canines who stay confined inside a crate for an excessive amount of time end up suffering from anxiety and depression. Dogs who aren’t getting enough activity may become frustrated and act out, so make sure your pup is getting plenty of exercise. If you have a busy schedule, hire a dog walker to stop by once or twice a day to exercise your dog while you’re out, or hire a pet sitter who can keep him company more regularly. Dogs often exhibit poor behavior because of separation anxiety. The ASPCA states that it’s triggered when “dogs become upset because of separation from their guardians, the people they’re attached to.” They may demonstrate this anxiety by defecating or urinating in the house. They may bark or howl excessively, disturbing people in the neighborhood. Dogs with separation anxiety may even chew on furniture or try to dig themselves out of the backyard. Does your dog have a mild case of separation anxiety? If you keep your dog busy, he will be less likely to experience this emotion. Give your dog a puzzle toy with his favorite treat tucked inside. Stuff the toy with food that will take your dog at least twenty or thirty minutes to remove from it. You might try low-fat peanut butter or cream cheese, dog food, kibble or a frozen banana. Dogs with moderate to severe separation anxiety will need more complex assistance. Consider contacting a Certified Applied Animal Behaviorist or a board-certified veterinary behaviorist. Some dogs with severe separation anxiety may require an anti-anxiety medication. A lot of doggie disasters can be prevented if you dog-proof your home. Keep your trash can covered to keep curious pups from exploring inside. Consider stashing the trash can in a latched cabinet. Put medications, household cleaners and other types of chemicals on a high shelf away from your doggie. Not only will you avoid coming home to a huge mess, but your dog won’t accidentally ingest toxins that can make him gravely ill or even kill him. According to TheNest.com, it’s also important to keep electrical cords out of your dog’s reach by hiding the cords “behind or under furniture.” Another option is to purchase a cord product that keeps your dog from getting access to electrical cords. If you don’t keep cords away from your dog, he may end up with a serious burn injury when he tries to chew them. Your furry friend is a beloved member of the family. But even though his sad brown eyes and wagging tail make your heart melt, you still realize that he knows how to get into all kinds of trouble when left to his own devices. If you don’t want to come home to chewed-up sofa cushions and kitchen cabinets, prevent those doggie disasters before they happen. Crate train your dog, keep him busy with puzzle toys, and pet-proof your home. Your antique overstuffed chair and expensive oriental rug will thank you! Keep your eyes open for the October giveaway!